If you have ever visited Hyde Park during the festive season, you might have encountered the sparkling magic that is Winter Wonderland. You may have shared a pint with friends at different themed bars, skated with a loved one in the ice rink, enjoyed the thrilling fairground rides or a spectacular show to inject a feeling of wondrous amazement. You probably walked away feeling blissful, having reawakened your inner child and embraced the spirit of the holidays you had assumed was limited to cheesy movies. You and your partner might have been dreaming of instilling that very same heartwarming and uplifting feeling in your guests on your joyous day, so drawing inspiration from the holiday festival that has been charming the hearts of visitors for over ten years makes perfect sense. Winter Wonderland is about bringing the best of the cold season, transforming grey and dreary into cool and sparkling. Although you might not necessarily think that such a theme would suit a wedding in Malta, it might actually work out better – all the charm and elegance of Winter without the frostbite! 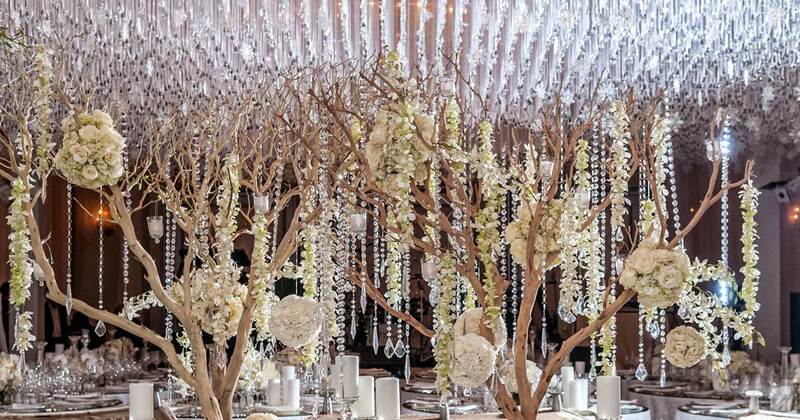 This blog aims to give you tips to help you incorporate a sense of the magical Winter Wonderland into your wedding, and inspire you to expose the beauty of the snowy season to your near and dear ones. 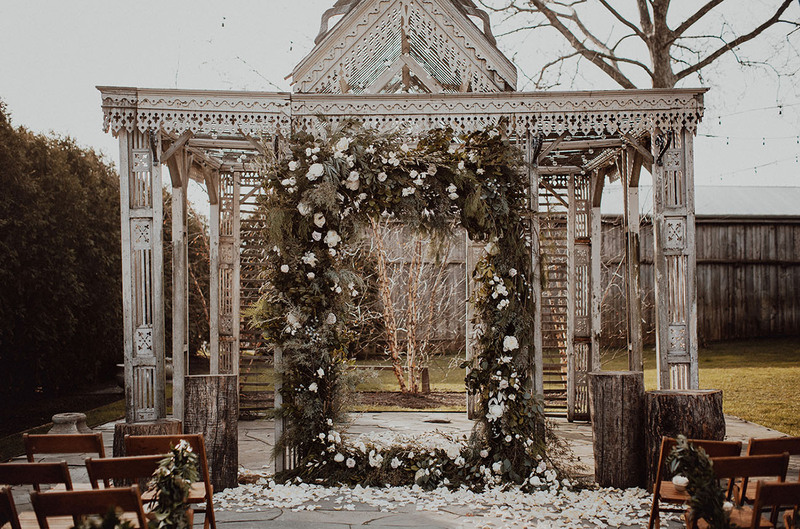 Having an overarching theme will not only integrate your wedding guests into your dream day, but it will also make planning the wedding a lot less complicated. By settling on a specific theme that both you and your partner love, you are automatically eliminating a lot of extra options and directing all the choices you have to make, and we all know that too much choice is almost always overwhelming. 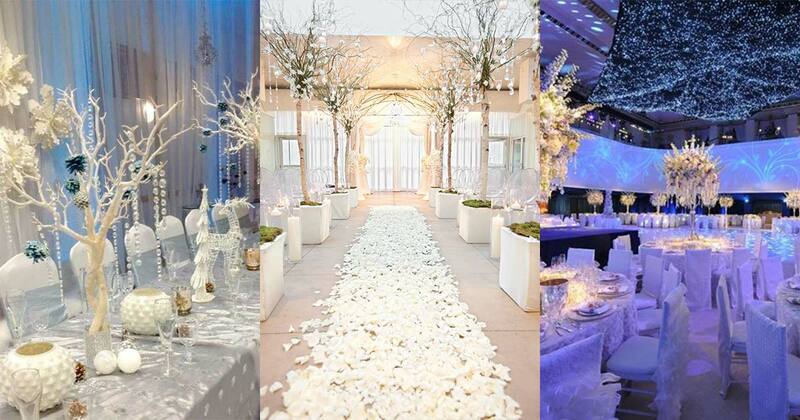 So, you want a winter wonderland wedding? Is it Dr Zhivago themed, inspired by the Festive Season, or rough around the edges and rustic? Your theme will lead you to colour palettes, decorative ideas, venue choice, menu design and so much more. The fine details in a painting are what make the bigger picture a masterpiece to admire and enjoy. A wedding is no different. Whether you are thinking about the bridesmaid’s jewellery, the signature drink served after the ceremony, or the small decorative pieces displayed nonchalantly in the reception hall, it is details like these that collectively portray your true vision – your special day as you’ve always imagined it. A simple yet innovative way to indicate your guests’ designated seats while eliciting a heart-warming, nostalgic feeling is to use snowy-looking Christmas tree ornaments as placeholders. You could even have Christmas tree inspired centrepieces at the table, especially if you’re committing to a festive theme. Opt for elegance with a simple colour scheme of white with a sprinkle of silver or ruby – you might want to avoid tinsel, no matter how cute it looks at home! Personalised features add a certain charm that is typically met with guests gushing over you and your wedding even more. They’re memorable and, the best thing is, you could keep one of each personalised item as a wonderful keepsake to treasure for years to come. You could inscribe your menu onto a wooden snowflake, embroider your names in blankets that guests may use, print a lovely quote on a tree ornament or serve up hot chocolate in personalised mason jars. The possibilities are infinite as long as you add a bit of creativity to your planning process. Bring some close friends together and brainstorm as many sweet, romantic and original ideas you can think of to come up with something really special. Most of us have already attended weddings that had an interactive activity, and they have become a staple in contemporary weddings because they keep guests engaged and circling the venue rather than letting the reception screech to a halt and turning your guests into bored zombies waiting for a polite time to leave. One possible activity is to have your guests write their New Year’s resolutions on cards and hang them up on a wall to create a colourful backdrop, or let them take pictures of themselves wearing over-the-top winter accessories and fill up your guestbook. Of course, not all activities have to be sentimental. You could create delicious and fun self-serving stations. If your venue has a fire pit, you might want to set up a station for everyone to roast marshmallows and then make a sweet little dessert plate for themselves with fresh fruit and biscuits. You could do the same for hot chocolate drinks by having a large selection of toppings guests may add. All of these activities are instagrammable crowd-pleasers that will immortalise your special day and make it the event of the season. Planning a wedding could be an overwhelming task, especially with all the high expectations that we hold for our special occasions. If you or a loved one is tying the knot, contact our team to help guide you through the entire process. We will present you with a magical and unforgettable day that is all about you and your happiness. With over 800 successful weddings planned, your joy is guaranteed.